Phoenix, Arizona is one of the fastest growing cities in the nation. Not only is it affordable, it’s also conveniently located near one of the party capitals of the world – Las Vegas. Phoenix is only a short hour flight and five-hour drive from Vegas, making it an accessible weekend vacation destination. Make the most of Vegas’ proximity with these essential Vegas vacation ideas. 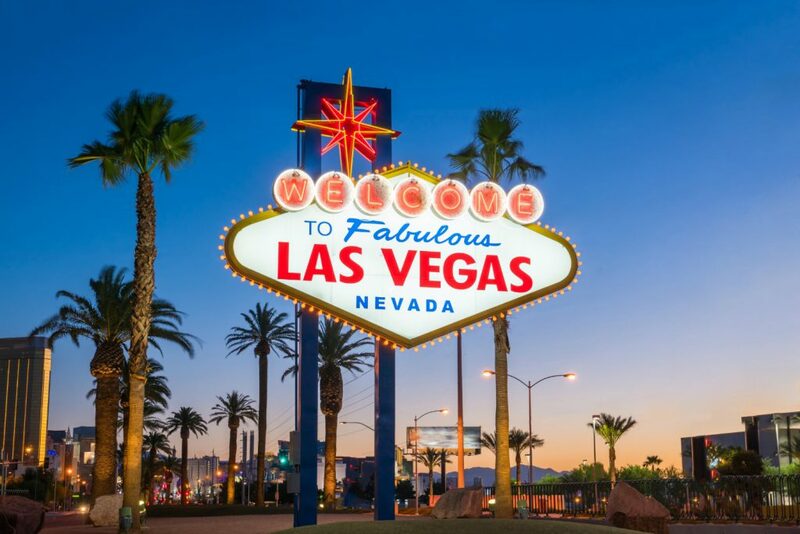 Take a photo in front of the “Welcome to Las Vegas” sign – An iconic fixture amidst Las Vegas’ modern, ever evolving atmosphere, the “Welcome to Las Vegas” sign at the south end of the strip is one of America’s iconic cultural markers. If it’s your first trip to Vegas you’re obligated to have your picture taken in front of it with the opulent strip looming in the background. Experience all the free things Vegas offers – It’s no secret Vegas is a money trap, and can empty your wallet in a single day with gambling, shows, activities and drinks. 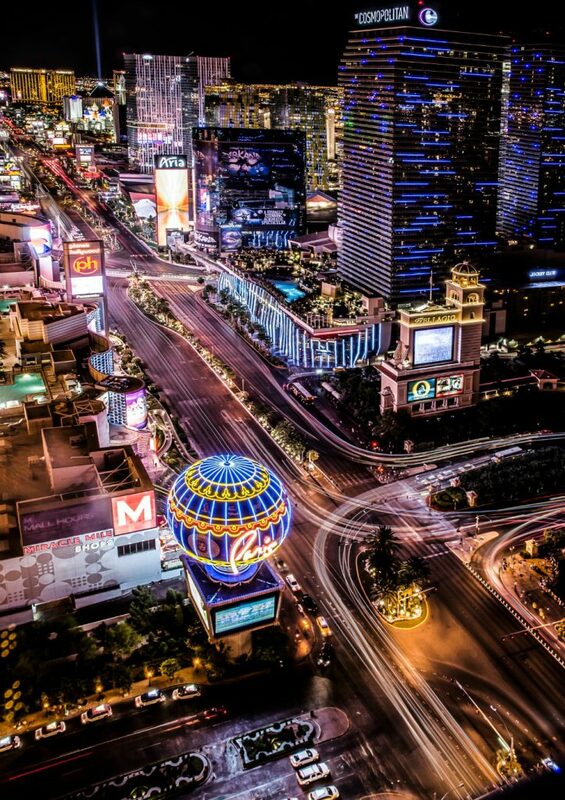 However, Vegas has a dirty little secret – there’s plenty of free things to do! Many of them are quaint, but memorable experiences, such as watching the Bellagio’s synchronized fountain show, Treasure Island’s pirate show featuring actual moving set pieces or the Mirage’s signature volcano explode. All of these can be experienced by walking down the strip. Even walking through the hotels is a free sight to behold! Check out Luxor’s massive vaulted pyramid with Egyptian architecture, take a walk-through New York streets at New York, New York or climb the steps of Paris’ replica Eiffel Tower to get a great view of the strip. Brave the risqué with Vegas night shows – If there’s anything Vegas is known for its pushing boundaries. Entertain the risqué by checking out Zombie Burlesque at Planet Hollywood for a cheeky undead take on the art of burlesque or experience the essence of human nature with Cirque du Soleil’s sensual Zumanity show at New York, New York. Rage all night at EDC – The Electric Daisy Carnival Festival is Vegas’ Coachella, featuring the best in EDM music and awe-inspiring stages. The huge event is hosted at the Speedway and features tons of neon lights, art installations and intense stages with giant animatronics, pyrotechnics and laser lights. Dress up in your favorite rave gear and celebrate a non-stop lineup of DJs until the break of dawn! Get your Vegas vacation started on the right foot with PHX Valet premier valet services. We’re not just any valet company – we provide first-class service combined with the latest in update notifications so you can drop off or pick up your vehicle and go! No doubt Vegas will tire you out, and once you disembark from your flight you’re going to want your car ready to go at the terminal. Our staff will drive your vehicle directly to your spot outside the terminal, saving you valuable time. We also take care of your vehicle while you’re gone, with options like topping off your gas tank, putting it through the car wash and more! Contact PHX Valet today to schedule a drop-off time! I wanted to take a quick minute to thank everyone at Freedom Park on the wonderful customer service I have experienced. Both of my bosses use Freedom Park frequently and I have never had a problem. Every person that answers the phone is kind, courteous, and is always willing to help! This kind of customer service is hard to find these days and I feel like you all are doing an excellent job. The representatives of FreedomPark who meet me at the terminals (at all hours of the day) are courteous and timely. A number of times I have asked them to assist me in various ‘above and beyond’ tasks which they have performed with a smile and no additional charge. Using this service has made my life much simpler and much more stress free while traveling. I have been a loyal customer of FreedomPark for the past 6 years. As a professional woman traveling weekly, they have done an outstanding job of taking some of the stress out of my life with the valet parking services. I cannot say enough good things about them and their services. The service FreedomPark provides has been exceptional, without complications or errors. My only regret is that I have not been using their services in previous years.